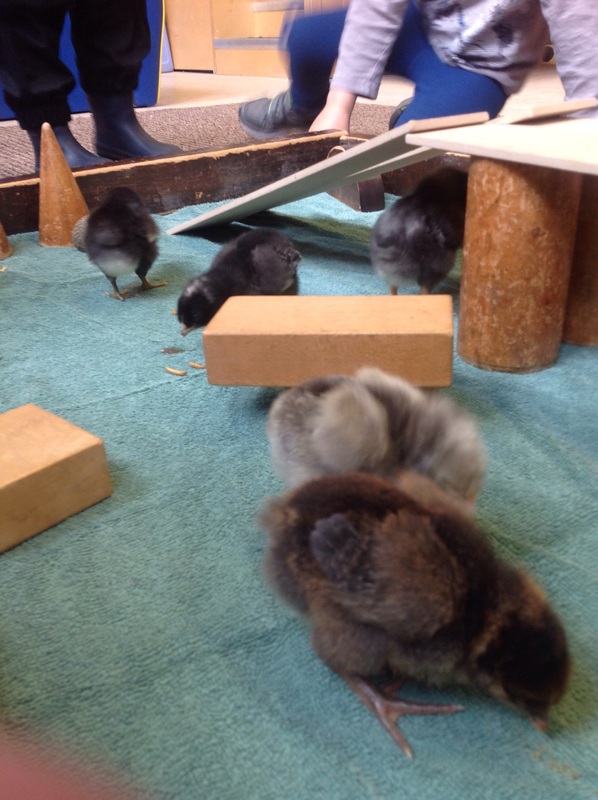 Cracking Soon… Hatchlings… to Little Chicks! 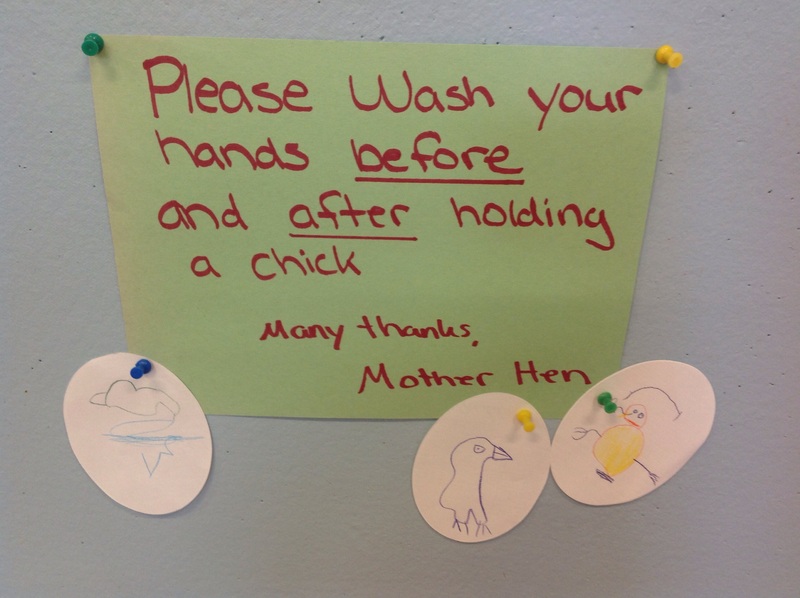 There has been lots of action in LVPPP’S ‎hatcheries. 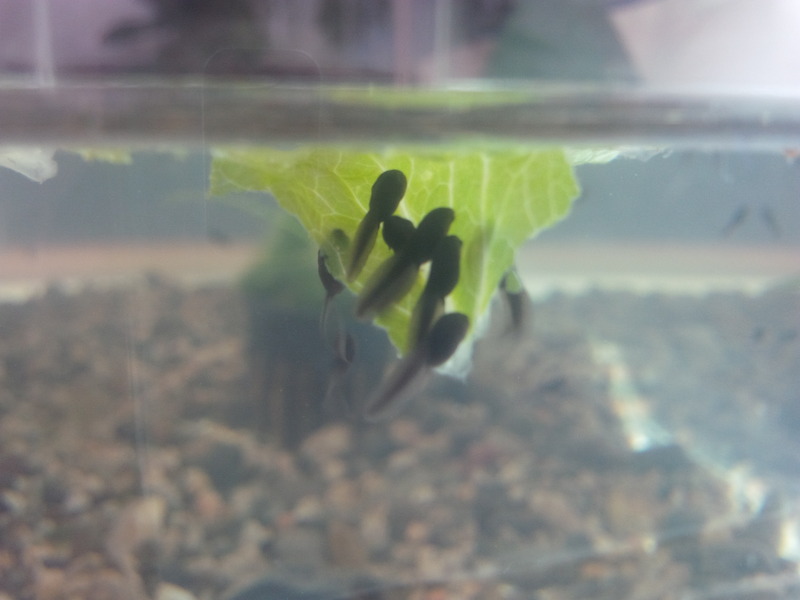 The teeny tadpoles are wiggling away. 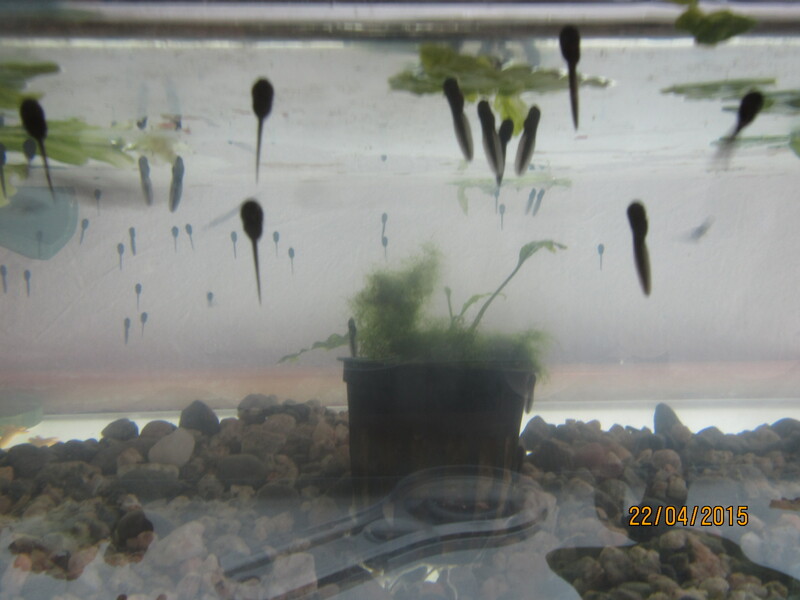 There are now hundreds 5mm tadpoles exploring the upstairs aquarium. 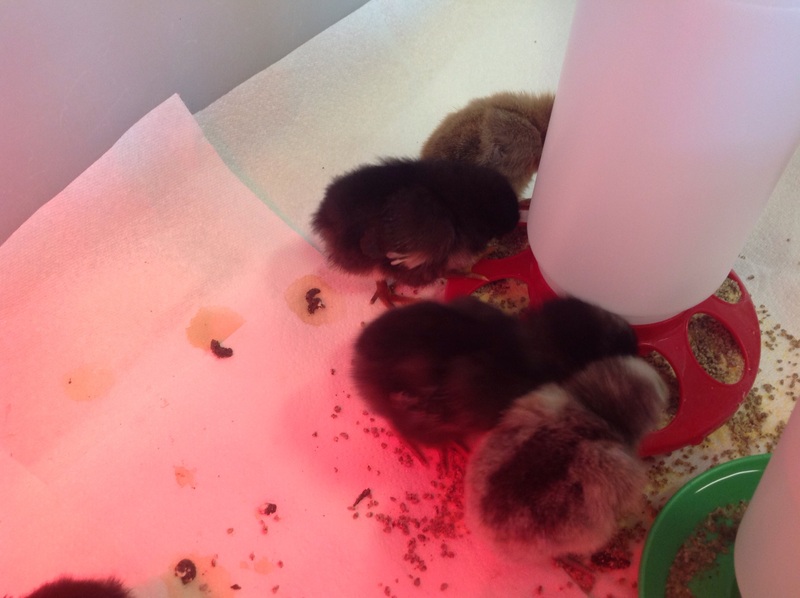 Finally, the chicks have made their appearance. 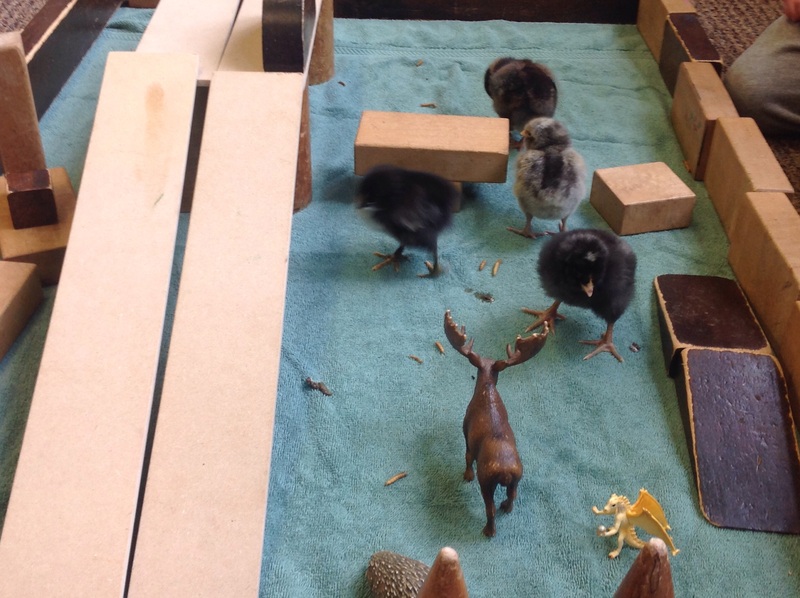 This year’s crop seems to be exclusively dark brown – an interesting difference from most preschoolers’ stereotypical chick. 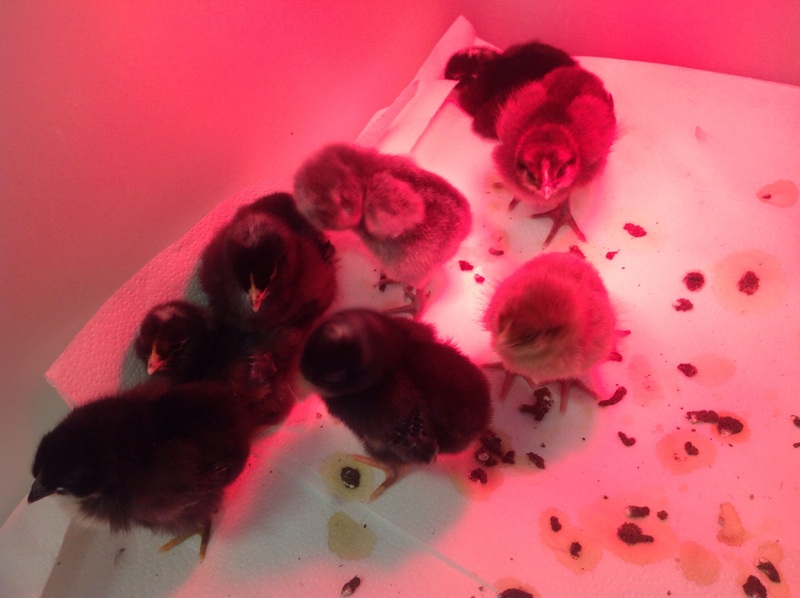 With all the cheeps of excitement there has been some loss. The teachers are using these circumstances to introduce the life cycle and notions of death at an age appropriate level. ‎And oh the stories! 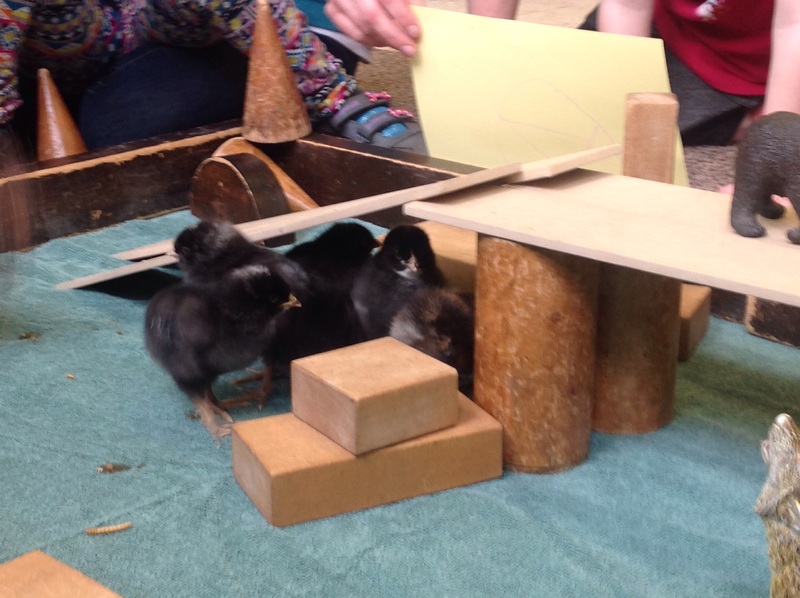 Ask our students about: “Nicola and the terrible, stinky smell” or the dramatic play by play of a teacher-supported hatching. Spring brings lots of new life to LVPPP. We are lucky to share the school with visiting students from next year’s classes. We have new things growing in our garden. And if we are lucky some special eggs arrive. This year we are doubly luck: two sets of eggs. 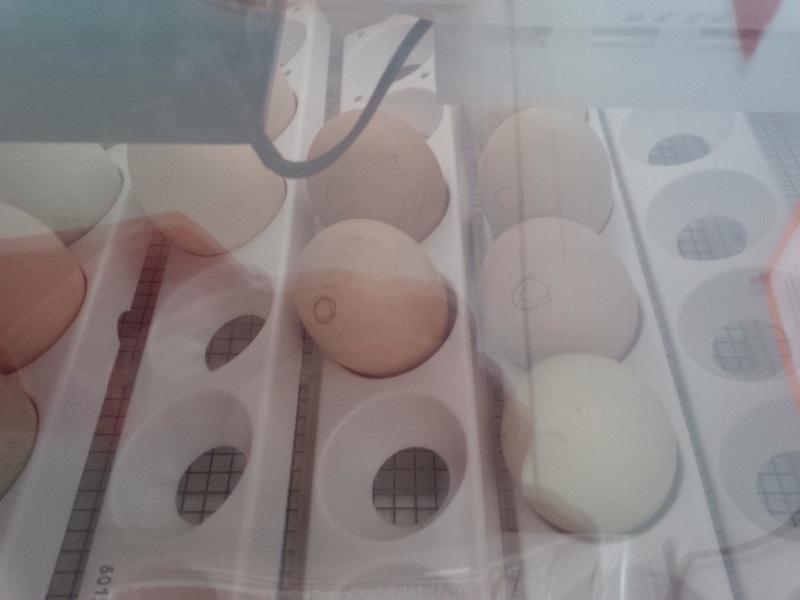 Our chicken eggs arrived a couple of weeks ago and are being kept warm in an incubator. 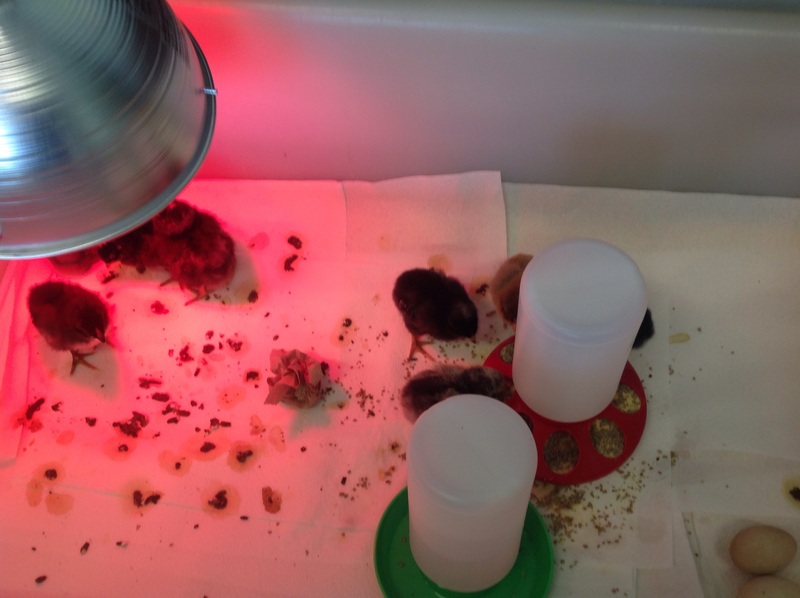 The class was able to “candle” them (hold them up to flashlight to see what is inside) and we expect them to hatch next week. 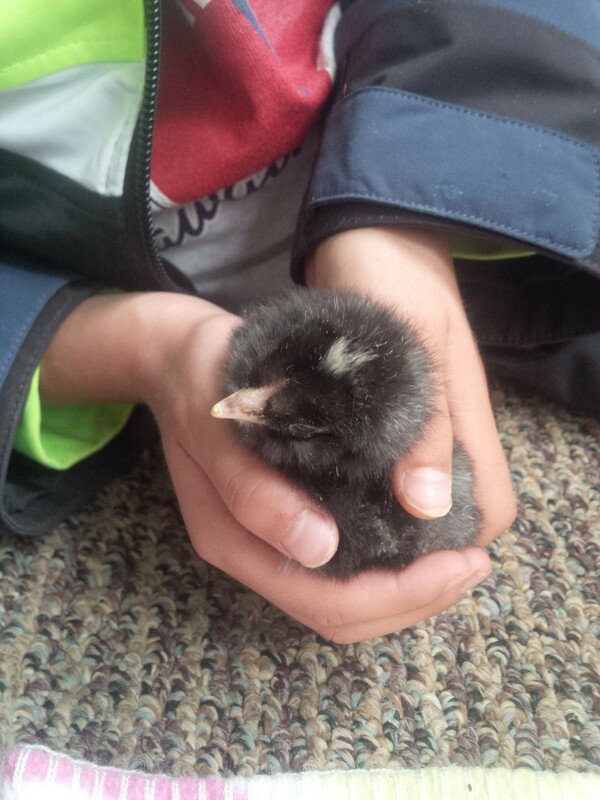 Stay tuned for an invitation to visit a chick open house to see them up close. 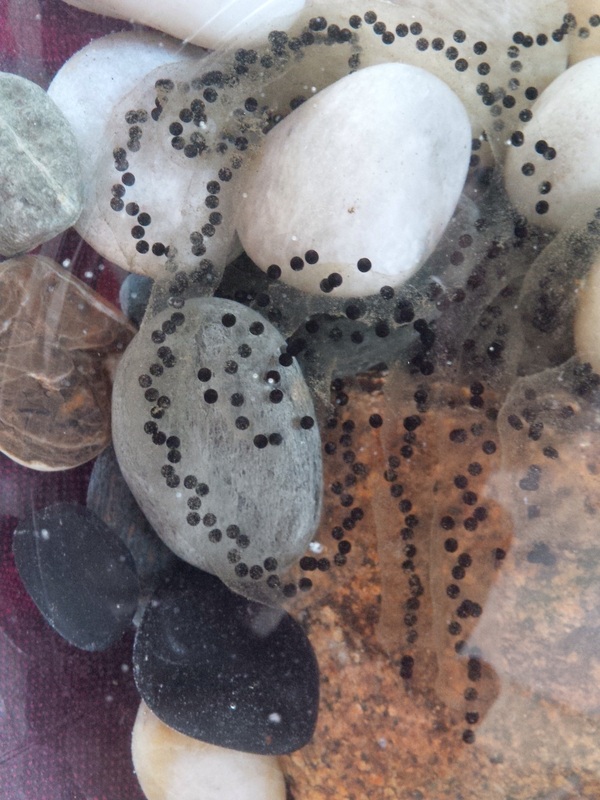 New this year: frog eggs! We have never had these before but Nicola has done her research and we hope to see these little guys go through their life cycle. 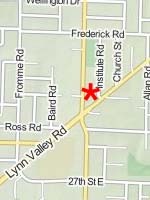 We will keep you posted.